If your vehicle is written off or stolen before you finish paying the finance on it, your car insurance payouts may not be enough to repay what you still owe and replace your vehicle with another vehicle of equivalent value. Guaranteed Asset Protection (GAP) is designed to cover this financial gap. We at Wilsons provide GAP insurance with the RAC, protecting you and your car against unforeseen incidents. 24/7 breakdown cover. RAC will fix your vehicle at the roadside, as long as you are over a quarter of a mile from home. A 10 mile tow to a destination of your choice, local garage or a place of safety is included if your car cannot be fixed at the roadside. We'll take you, up to 7 passengers and your car to your chosen destination anywhere in mainland UK. 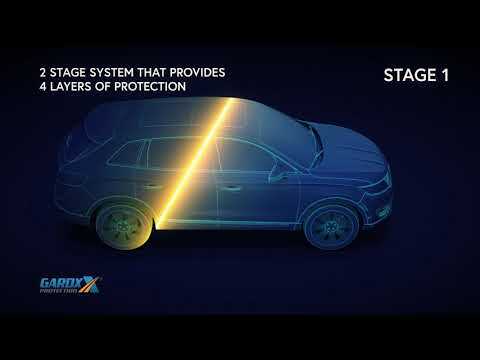 The GardX Vehicle Protection System with Nanotechnology forms a highly resilient transparent coating that protects your vehicle’s paintwork from harmful pollutants. It will even delay the effects of bird droppings and provides a high gloss showroom finish that permanently resists attack. With GardX Protection you may never need to polish your car again. *To activate the additional RAC Breakdown cover and Accident Care complimentary benefits you will need to contact the RAC and agree to their terms and conditions.